It may be a few months yet until you pack away your boots for warmer weather shoes, but it’s important to know how to care for them when the time comes. The storage experts at Affordable Family Storage in Wichita have some tips to ensure your boots stay in good shape for the next cold weather season. If you’ve worn your boots throughout the cold weather season, chances are high that they’ve accumulated some dirt, dust, and grime in that time. Before you resign your boots to storage yet again, take some time to clean them up. How to clean your boots depends greatly on the material they are made from. If your boots are leather, you can use a soft cloth dipped in water and dish soap to remove any stuck-on dirt and grime, wiping it off with another damp rag and drying with a clean towel. If your boots are made of suede, the process is a bit more intensive and requires a few more products than what you may have in your kitchen. A bit of research will ensure that you clean your boots properly. This step is especially important if you have tall boots. Keeping them in storage without something to support their shape basically guarantees creases and other issues. Luckily, making a boot form isn’t that difficult. If you’re really particular, you can invest in foam boot forms that will keep the shoe’s shape, but there are other things you can do as well. Stuff the tops with newspaper or use old magazines to keep the top part of the shoe upright. If you happen to have a few extra foam pool noodles left over from the summer, you can also use those to make a form. 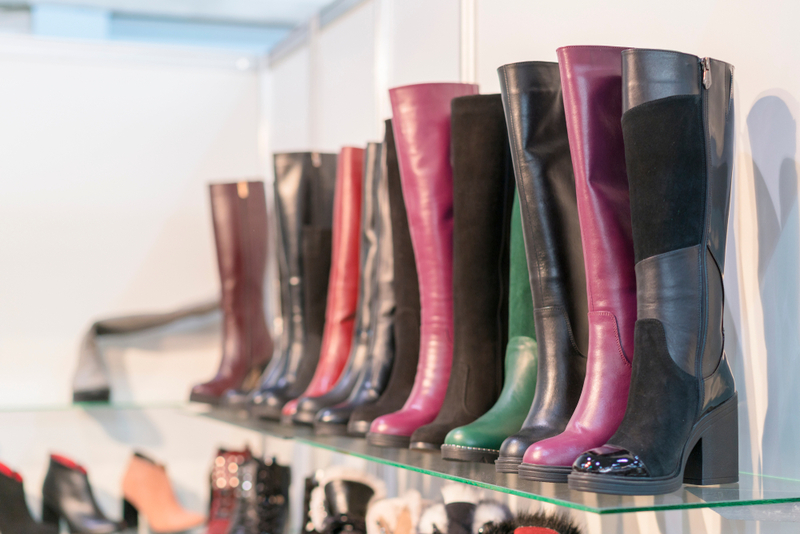 If you’re tucking your boots back into storage in the warmer months, you’ll want to do more than just throw them on a shelf or in a closet. Take some time and organize your boots either in their original boxes or in separate containers. Doing this will protect your boots from external damage and help you keep everything organized. If you’re looking for a place to store your boots, winter gear, or anything else that may be taking up space in your home, come check out Affordable Family Storage in Wichita. We offer safe and secure storage units of all sizes for whatever your storage needs.